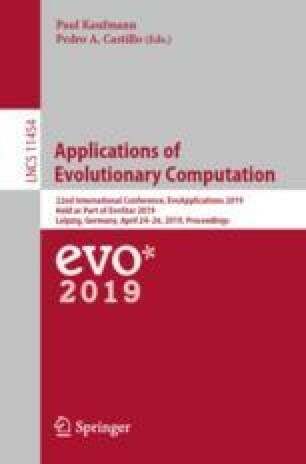 Distributed Embodied Evolution (dEE) is a powerful approach to learn behaviors in robot swarms by exploiting their intrinsic parallelism: each robot runs an evolutionary algorithm, and locally shares its learning experience with other nearby robots. Given the distributed nature of this approach, dEE entails different evolutionary dynamics when compared to standard centralized Evolutionary Robotics. In this paper, we investigate the distributed evolution of Gene Regulatory Networks (GRNs) as controller representation to learn swarm robot behavior, which have been extensively used for the evolution of single-robot behavior with remarkable success. Concretely, we use dEE to evolve fixed-topology GRN swarm robot controllers for an item collection task; this constitutes the first work to evolve GRNs in distributed swarm robot settings. To improve our understanding of such distributed GRN evolution, we analyze the fitness and the behavioral diversity of the swarm over generations when using 5 levels of increasing local selection pressure and 4 different swarm sizes, from 25 to 200 robots. Our experiments reveal that there exist different regimes, depending on the swarm size, in the relationship between local selection pressure, and both behavioral diversity and overall swarm performance, providing several insights on distributed evolution. We further use a metric to quantify selection pressure in evolutionary systems, which is based on the correlation between number of offspring and fitness of the behaviors. This reveals a complex relationship on the overall selection pressure between the ability or ease to spread genomes (or environmental pressure), and the fitness of the behavior (or task-oriented (local) pressure), opening new research questions. We conclude the paper by discussing the need for developing specialized statistical tools to facilitate the analysis of the large and diverse amount of data relevant to distributed Embodied Evolution.